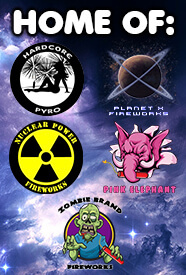 Personal Information – If you place an inquiry at https://www.intergalacticfireworks.com/ we may collect certain personal information from you including your name, address, telephone number, email address. This information is considered personally identifiable. This information is protected by the use secure web server and is protected by other internal systems that we have in effect.